As public vote on the 0.5% Metro Vancouver Congestion Improvement Tax hike nears, the debate over this controversial issue rages on. This afternoon, hundreds of audience gathered at the “Metro Vancouver Congestion Improvement Tax Forum”, organized by Fairchild Radio and Sing Tao Daily, to raise their voice on the new tax. The Forum will be rebroadcasted on AM1470 tomorrow 11am at the “Public Forum” ; Sing Tao Daily will also have a detailed story of the Forum on their newspaper too on Saturday. 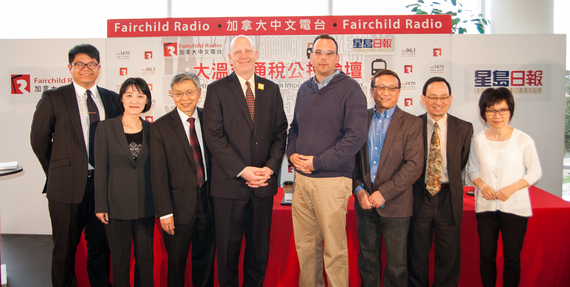 The Forum highlight in Mandarin is scheduled on FM96.1 “News Focus” (5pm) next Monday (March 16). Stay tuned!